Must present coupon at time of write up. Valid at Lexus of Manhattan, Lexus vehicles only. Offer can not be combined with any other offer. Does not apply to oil changes. Customer pays for installation only! Must present coupon at time of write up. Valid at Lexus of Manhattan, Lexus vehicles only. Offer can not be combined with any other offer. Price listed does not include tax. Does not apply to Brembo brakes. Valid at Lexus of Manhattan. Lexus vehicles only. Based on availability. Must schedule appointment for loaner. Loaner must be returned same day service is completed. Must present coupon at time of write up. Valid at Lexus of Manhattan, Lexus vehicles only. Offer can not be combined with any other offer. -Door edge protection film can save your door edge from ugly chips. -The car door edge is most susceptible to damage because of its narrow surface area. -Barely noticeable yet highly effective. Must present coupon at time of write up. Valid at Lexus of Manhattan, Lexus vehicles only. Offer can not be combined with any other offer.Does not include instalation.Does not include TAX. Offer applies to 18 inch tires only. Must present coupon at time of write up. Valid at Lexus of Manhattan, Lexus vehicles only. Offer can not be combined with any other offer.Does not include instalation.Does not include TAX. Offer applies to 17 inch tires only. Must present coupon at time of write up. Valid at Lexus of Manhattan, Lexus vehicles only. Offer can not be combined with any other offer.Does not include instalation.Does not include TAX. 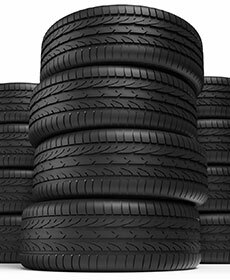 Offer applies to 17 & 18 inch tires only. Must present coupon at time of write up. Valid at Lexus of Manhattan, Lexus vehicles only. Offer can not be combined with any other offer.Does not include instalation.Does not include TAX.